Why is TV rewarding bad behaviour? In 2018 TV’s biggest juggernauts are rewarded for their cold hearts and hand grenades. On Married at First Sight we copped cheating, abuse, sexting, and chauvinism. 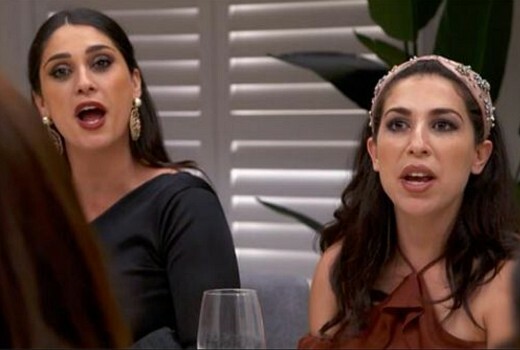 My Kitchen Rules has seen insults flying across the dinner table. Even I’m A Celebrity Get Me Out of Here cast David Oldfield this year, where his views on Indigenous history were given a primetime platform. Sure, Reality TV loves a villain, and Conflict is the basis of all Drama. But TV is in a race to the bottom right now and cookie-cutter storytelling is the medium’s mortal enemy. Some years ago when Simon Cowell epitomised the ‘nasty judge’ American Idol used to revel in car-crash auditions. It was an era in which everybody jumped on the bandwagon (Dicko became his local equivalent). But in this cyclic medium, eventually MasterChef came along with ‘kinder, gentler’ stories and the tide turned. The conflict was internalised -could Julie create a winning dish and inch closer to her cooking dream? Lately TV’s pendulum has swung back the other way. Married At First Sight has been a phenomenon for Nine. Not just in its hit ratings, but in creating water cooler chatter. I’ve sat in cafes where seniors are debating cheating couples like an episode of Days of Our Lives. I’ve heard 20-somethings tell me they are hooked. You only have to look at an episode of Gogglebox to see the jaws on the floor, the yelling at the screens, to know what a zeitgeist hit this has been. My congratulations to Endemol Shine and Nine for achieving such when Free to Air is too often a law of diminishing returns. Since the show stripped across multiple nights last year, it has strayed further from its original premise: can Science find love? Who cares when Dean is cheating on Tracey, or Davina is bitching behind her back? Season One actually resulted in Alex and Zoe, who have since had a baby. I’d lay money nobody from Married at Real Housewives will come close. And what to make of the show’s three consultants: 2 psychologists and 1 neuroscientist? Aren’t they now facilitating the show’s soap opera? Could they be tainting psychology by colluding with such manipulation? The Australian Psychologists Society refuses to discuss such questions while it is redrafting their media guidelines (which it has been doing for some 12 months). Let’s just go with a recent News Corp article which revealed the 3 are essentially talent – participants can access a separate psychologist during production, who is thankfully independent. For that matter, what kind of civil celebrant “fake marries” someone anyway? No, they are not actors. In a country that just underwent a national debate about the values and sanctity of marriage, these may be people who missed the memo. Another sign of rewarding bad behaviour was in the media coverage: column inches, recaps, paparazzi (some of them alerted by the cast themselves) and click bait headlines fed oxygen to the show, which in turn led to bumper ratings. A cycle of soapy villains, network promos, gossip and ratings created a monster and monster hit, and everyone has a vested interest. Yet TV is also a democracy. The audience votes with their remotes. It’s a shame that in the Reality show tug-of-war the victims have been local Drama (notably Safe Harbour and Riot, but a fuller explanation requires more depth). So if TV, press and audiences are rewarding bad behaviour who am I to argue? Having mass eyeballs watching Free to Air is good news and it keeps people employed. Maybe I’ve focussed too much on the grubbier aspects of the shows. Maybe I want them to go back to their original premise: finding love, cooking spectacular food. Maybe I just feel like I’ve seen it all before. Or I’m worried I will be seeing it again. Be careful what you wish for. The word ‘toxic’ comes to mind with all of this right now. Have a look at the promos for The Voice. Nothing about singing and talent and dreams, and all about George and Kelly sniping and bitching at each other. It’s nothing more than a vile-fest.